Windows phone is a famous operating system for smart phones that has boost up with the advent of Nokia's window phone. Nokia is the bigger partner of Microsoft to promote this operating system world wide. The Windows Phone user interface has been very beautiful and beneficial in providing under the hood information of Microsoft's mobile operating system. 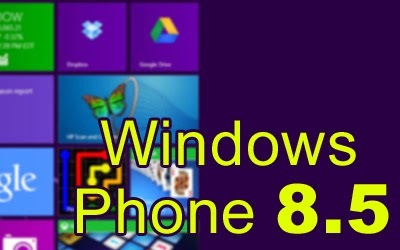 Besides the countless reports regarding the scheduled for April update to Windows Phone 8, the emulator has obviously a very wonderful news to share specially an interesting bit of information about the next-generation iteration of the OS dubbed Windows Phone 8.5. The developer from TimeMe has encountered an interesting piece of info in the Windows Phone Emulator, that indicates the secondary live tiles may no longer be available in Windows Phone 8.5. It is a rumor from a leaked E-mail from an Nokia official. But you need not to worry about this. There is no chance to necessarily disappearance of the secondary live tile entirely, but most probably the API may be altered or completely rewritten to allow new functionality.It is obvious that, in any case, Microsoft has made plan to change the start screen in Windows Phone 8.5. In addition, near coming next version of WP phones will be Windows Phone 8.1 and it will allow developers to choose a shorter update period for their Live Tiles. Currently, the update in tiles happens every 30 minutes, but Windows Phone 8.1 will introduce a menu to adjust the length and minimum shorter update will be available after period of 1 minute. The highlights shows that Microsoft is going to hold their BUILD developer conference in April. There, the software wiz will spill all the beans of the upcoming Windows Phone 8.1, which is scheduled to hit mobile phones and tablets this spring.